AND! They go over the latest news with talk on a possible Obi-Wan spin off movie, singing Obi-Wan, whispering George Lucas’ late night phone calls, the nonstop Last Jedi toy leaks & more! So grab short round, go looking for fortune & glory & bigfoot and celebrate the love with BLAST POINTS!! 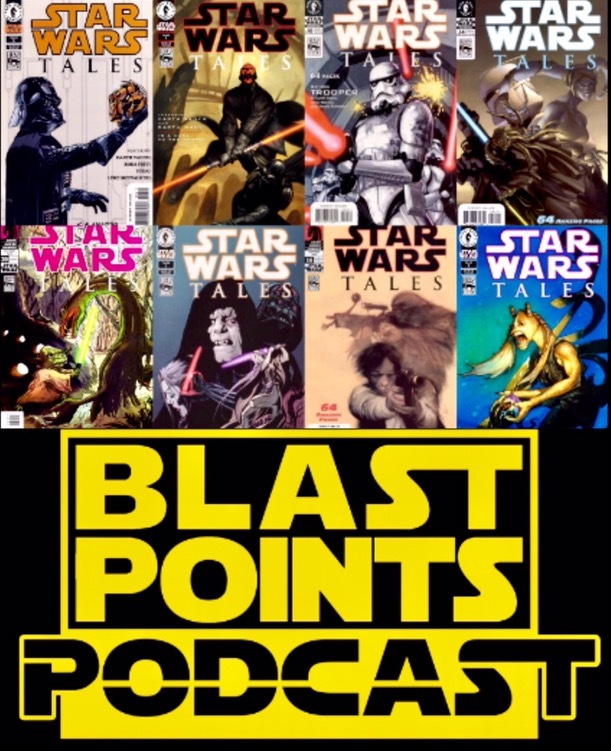 This entry was posted in Episodes and tagged comics, jar jar, luke skywalker, obi wan, star wars tales, the last jedi, yaddle by blastpointspodcast. Bookmark the permalink.